Route Summary: - Pass of Glencoe, Coire Nan Lochan, Stob Coire Nan Lochan (Bidean Nam Bian), Bidean Nam Bian, Stob Coire Nam Beith (Bidean Nam Bian), Allt Coire Nam Beithach, A82, Loch Achtriochtan, The Pass of Glencoe. Route Summary: - The Pass of Glencoe, The River Coe, Coire Nan Lochan, Stob Coire Nan Lochan (Bidean Nam Bian), Bidean Nam Bian, Stob Coire Nam Beith (Bidean Nam Bian), Bidean Nam Bian, Lost Valley Buttress, Bealach Dearg, Stob Coire Sgreamhach, Beinn Fhada (Stob Coire Sgreamhach), Beinn Fhada (Stob Coire Sgreamhach) (North East Top), Beinn Fhada (Stob Coire Sgreamhach), Stob Coire Sgreamhach, Bealach Dearg, Coire Gabhail (The 'Lost Valley'), Allt Corrie Gabhail, The Pass of Glencoe. 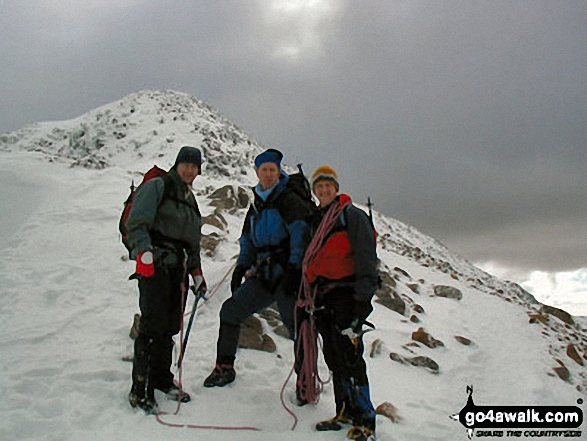 Route Summary: - The Pass of Glencoe, River Coe, Coire Nan Lochan, Aonach Dubh, Stob Coire Nan Lochan (Bidean Nam Bian), Bidean Nam Bian, Stob Coire Nam Beith (Bidean Nam Bian), Bidean Nam Bian, Lost Valley Buttress, Bealach Dearg, Stob Coire Sgreamhach, Beinn Fhada (Stob Coire Sgreamhach), Beinn Fhada (Stob Coire Sgreamhach) (North East Top), Beinn Fhada (Stob Coire Sgreamhach) (Far North East Top), Lairig Eilde, Allt Lairig Eilde, The Pass of Glencoe.